Vacation rental house. Sleeps 18, 6 bedrooms, 5 bathrooms. No pets allowed. 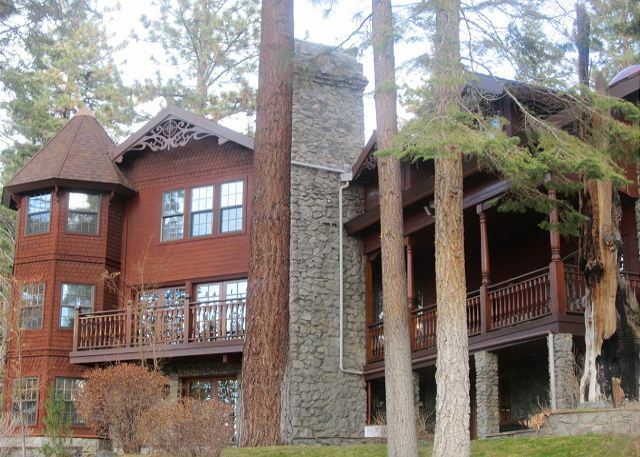 Tahoe Nevada Mansion -BY HEAVENLY SKI RESORT 5 minutes to South Shore Casinos and Heavenly Ski Resort. 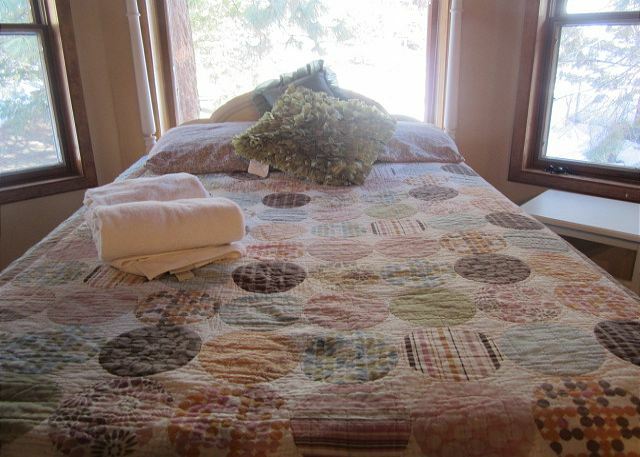 Accommodations: House 6 bedrooms, 6 bathrooms, sleeps 16-18. Come enjoy this unparalleled experience in this private mansion by Heavenly complete with a10 seat movie theater, Fireplaces, and a large game room. 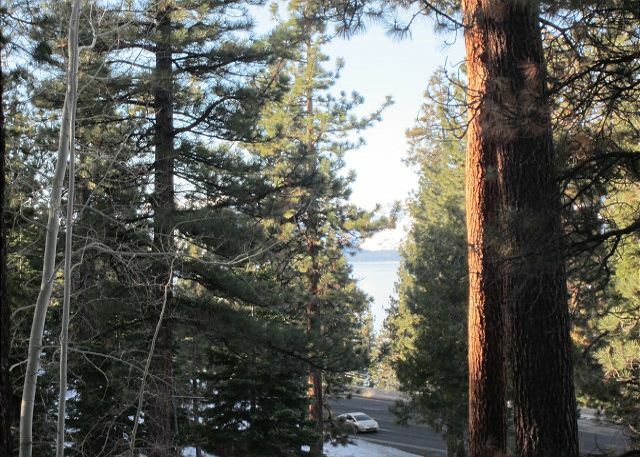 This large beautifully landscaped , 8,890 square foot home is situated on one of the only 3.09 acre lot in Lake Tahoe. 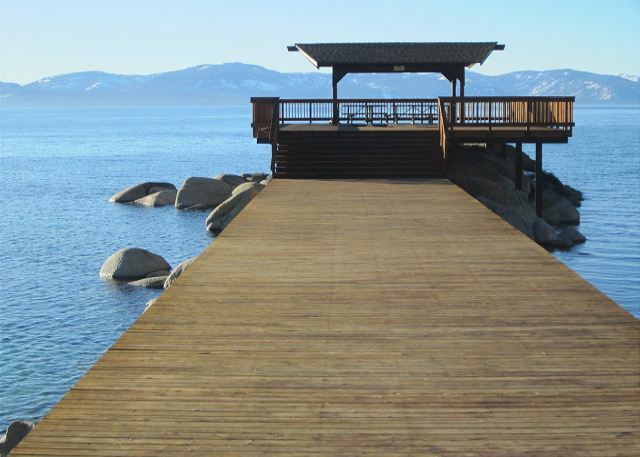 The house is only minutes from all Tahoe has to offer. The home has been completely remodeled with new furniture and furnishings that add to the homes luxurious allure with mountain and lake views. 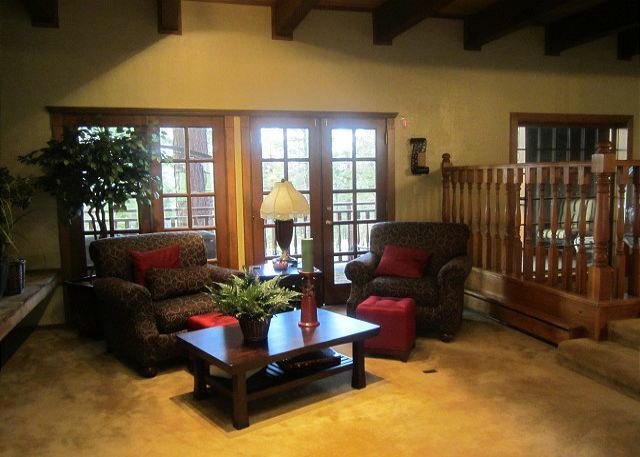 The home is located minutes from casinos, restaurants, shopping, beaches and skiing. You enter this estate at ground level. Once inside, you will find a spacious 3 level floor plan with all the amenities you could want. 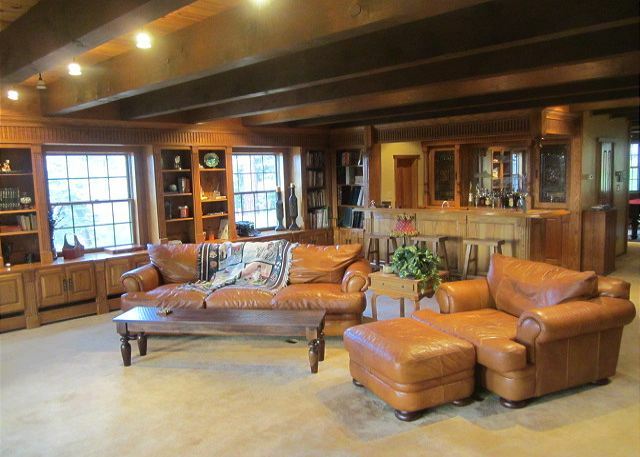 The large light and bright living room with a vaulted ceiling and walls of windows also has a balcony. A billiard room is available for your evening enjoyment. There is also a wet bar. The living room adjoins a brand new huge modern upgraded open kitchen with granite countertops, stainless steel appliances, two sinks, recess lighting, loads of cabinets and an upgraded modern stovetop. 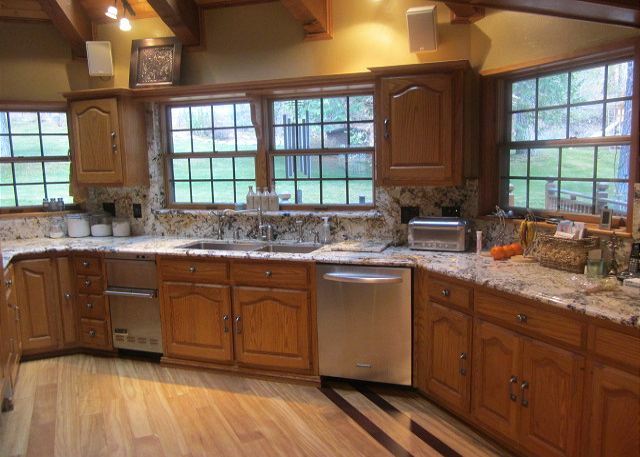 There is bar seating available around the kitchen. A spacious dining area then leads to a comfortable modern family room with brand new furniture and a 52' Flat screen TV. 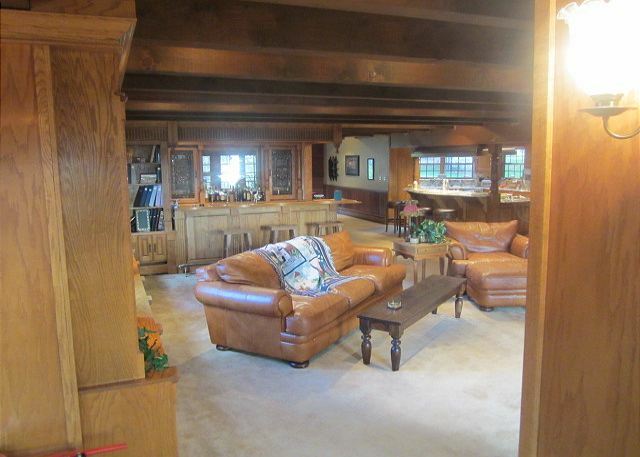 There is also a stone wood burning fireplace that is from the ceiling to the floor. Also on this level is a furnished patio with a fire pit. The upper level features three bedrooms plus the master suite. Bed configurations for these bedrooms are a king bed with a set of bunk beds, a king bed and bunk beds. 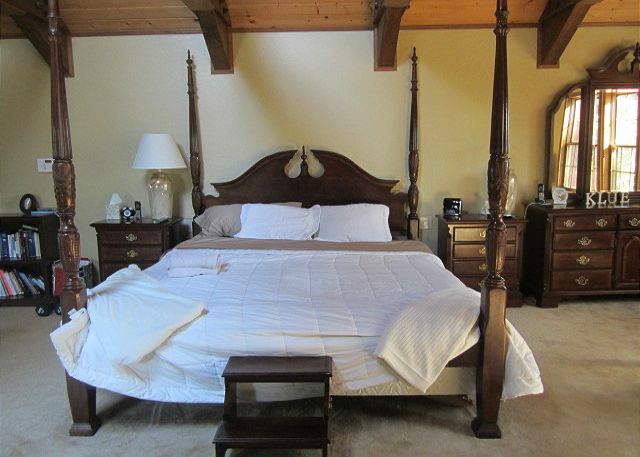 The master suite has a king bed. The master suite has a large separate bathroom with full vanity, with a shower. 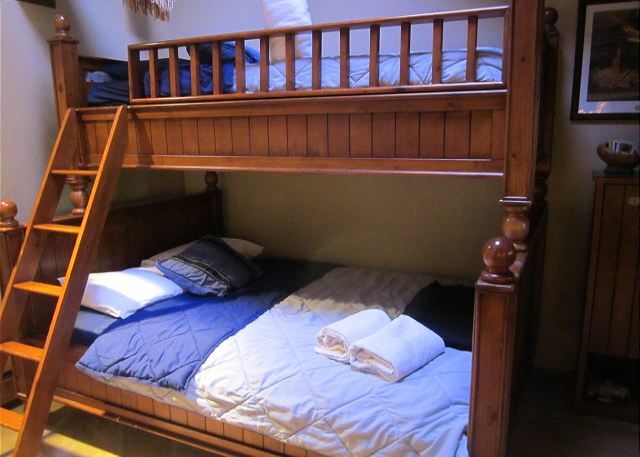 The lower level of the home has a bedroom with a king bed and a set of bunk beds and it's own bathroom. There is a professional finished laundry room. 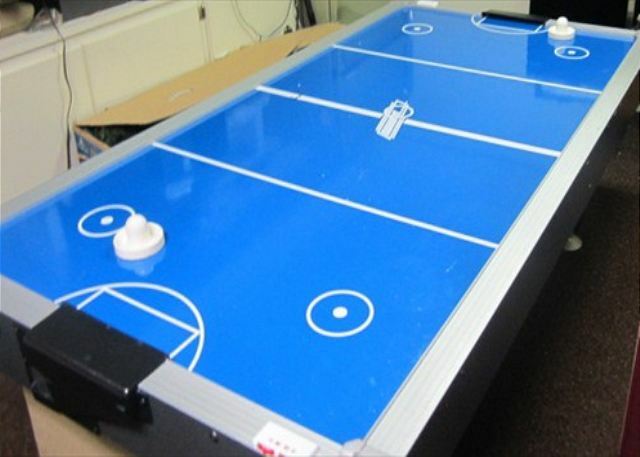 There is a large game room with a ping pong table and air hockey and then there is a 10 seat home movie theater. There is also a full bathroom on this floor. Guests can request additional suites to accommodate up to 24 ppl. The 2 private suites each 1,200 sq. ft. with your own fireplace, living room area, and master bath for an additional fee of $250.00 per night.There is a three car garage and plenty of parking in the separate area along the driveway. Included in the home is free WIFI, and free local and long distance calls. A property manager is located nearby for check-in and checkout and can assist if any problems arise with the home. Check in is 4 pm and check out is 11 am. No Smoking. No Pets.